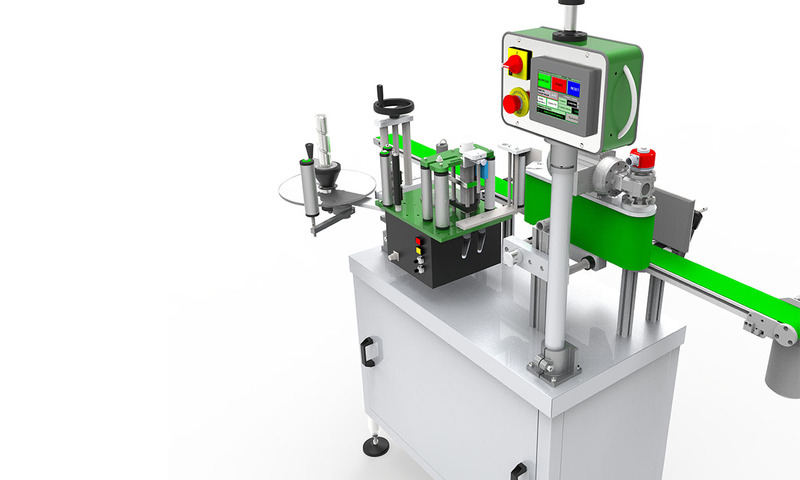 Labeling equipment for the application of a label and / or back label in cylindrical containers. 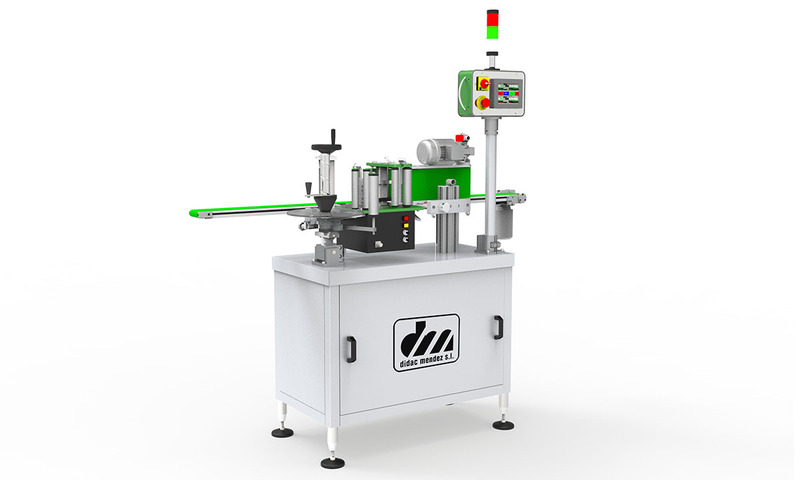 Economic labeller taking into account its high performance. 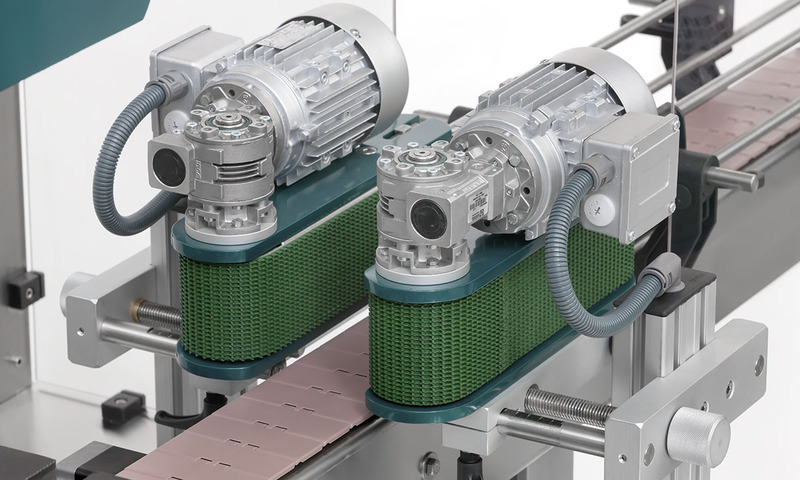 Equipped with two DMC - Ecoline heads, adaptable in production and speed to any packaging line. Equipped with two DMC - Ecoline heads. Multiple types of packaging (see illustrations). Centralized control unit, with touch screen. Protections that comply with CE regulations. 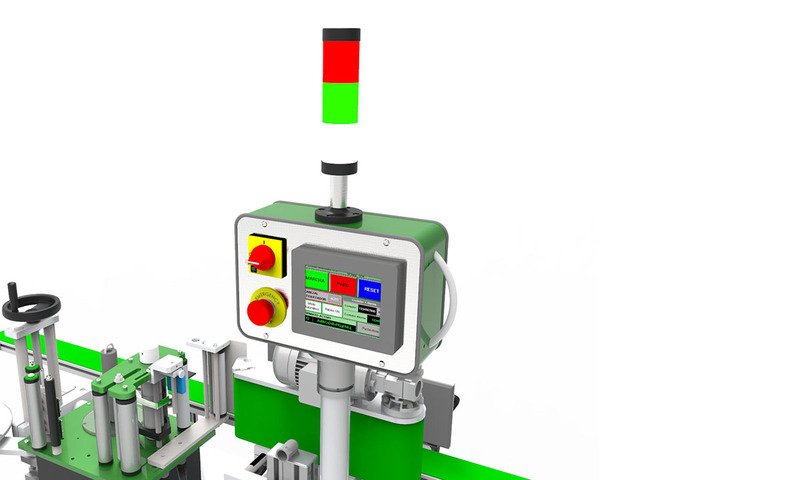 Labeling equipment for the application of a label and / or back label in square, cylindrical and conical containers. 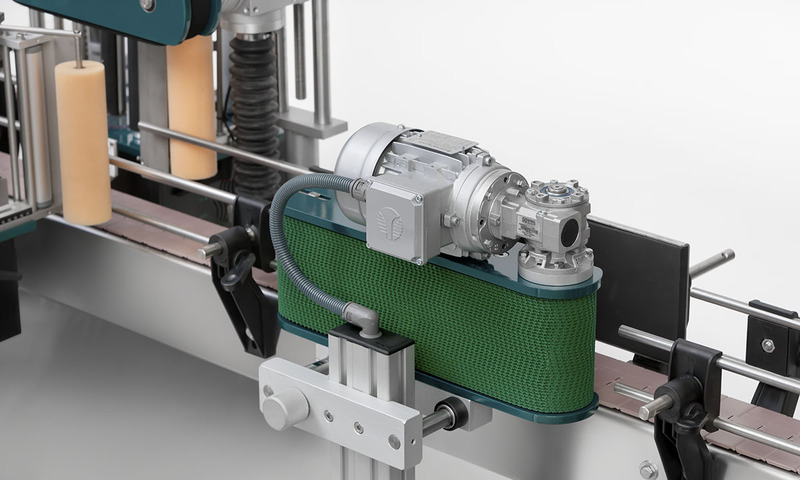 Economic labeller taking into account its high performance. Model DML - ECOLINE standard, equipped to offer a large number of combinations for the labeling of several containers. Equipped with 3 DMC heads - Ecoline. 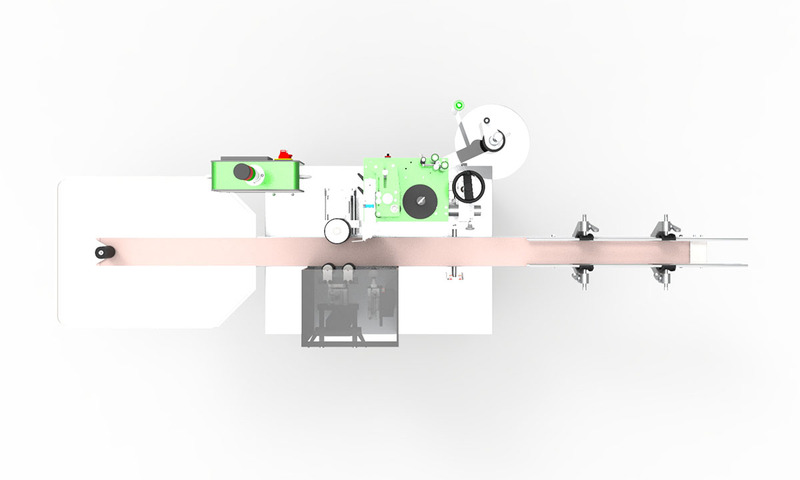 Conveyor belt equipped with chain hinge or belt type conveyor. Labeller specialized in processing wine bottles. It has 2 heads one DMC - Ecoline for the label and a head DMC - Plus to apply label "DENOMINATION OF ORIGIN". 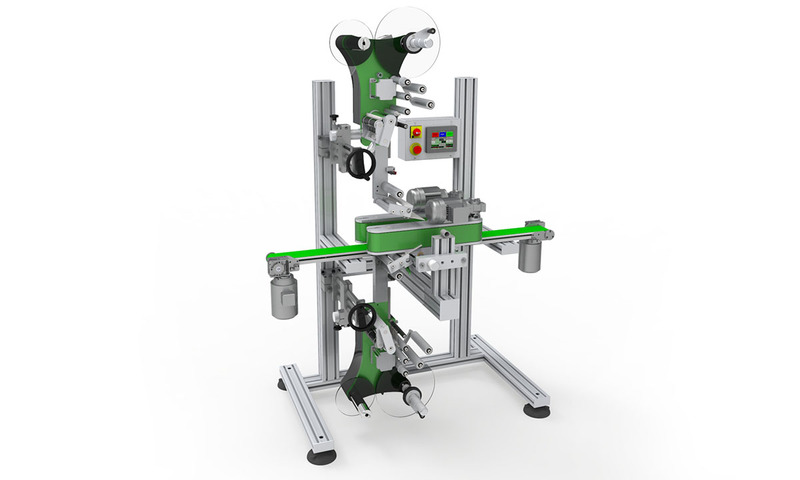 Adaptable in production and speed to any packaging line. 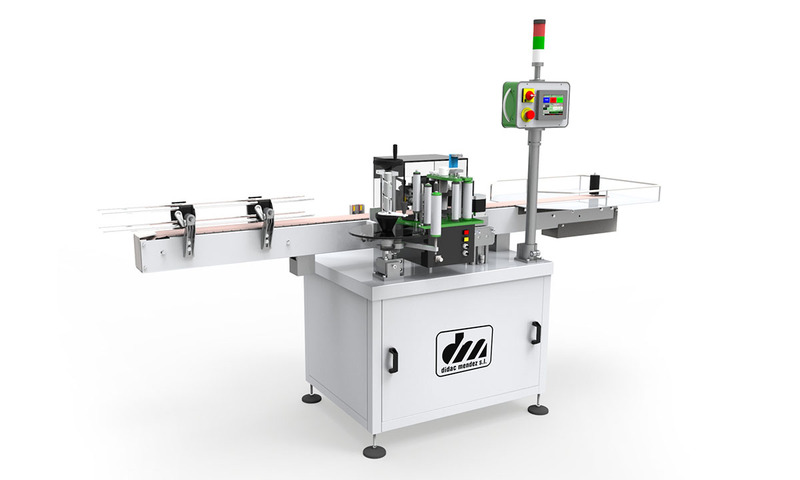 Labeling equipment for the application of an upper label and a lower label on all types of products. Economic labeller taking into account its high performance. 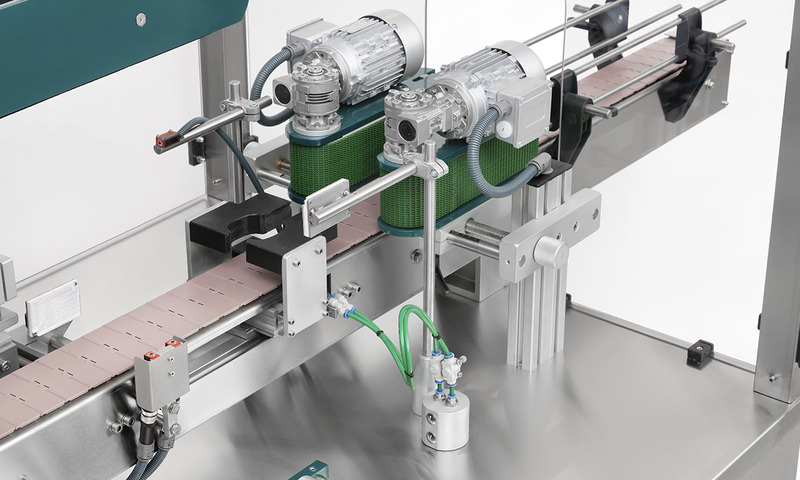 Equipped with two DMC - Ecoline heads, adaptable in production and speed to any packaging line. Equipped with 4 heads DMC - GT. 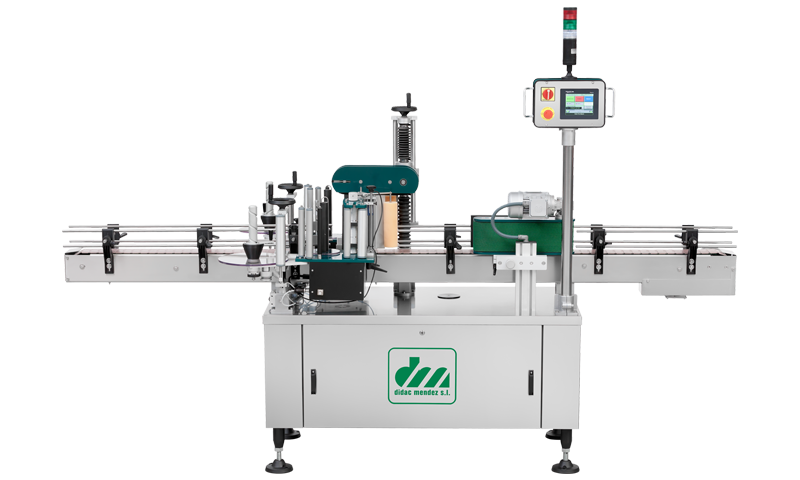 High speed and precision labeling equipment for the application of label and back label in any type of square, cylindrical, conical and oval containers. 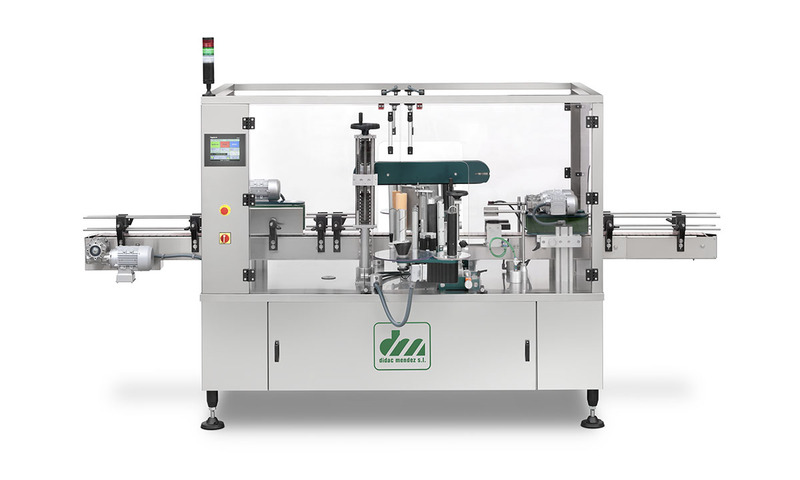 Equipped with up to 4 DMC - GT heads, adaptable in production and speed to any packaging line. 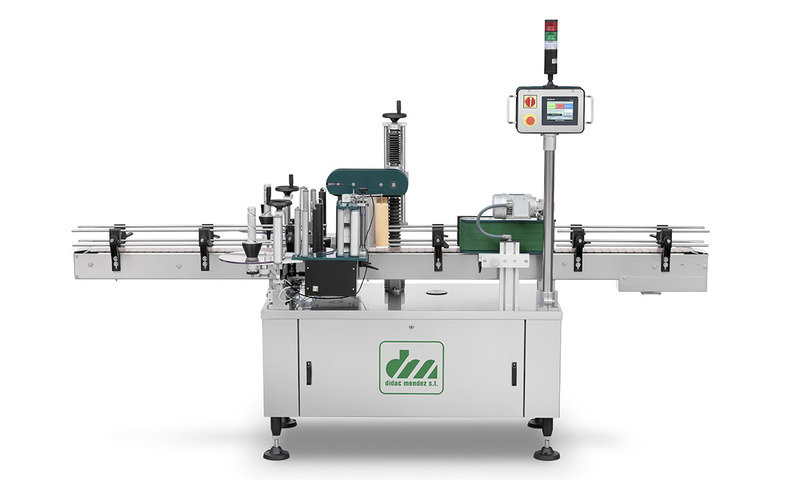 High-speed labeling equipment for the application of a label and / or back label on all types of cylindrical products. 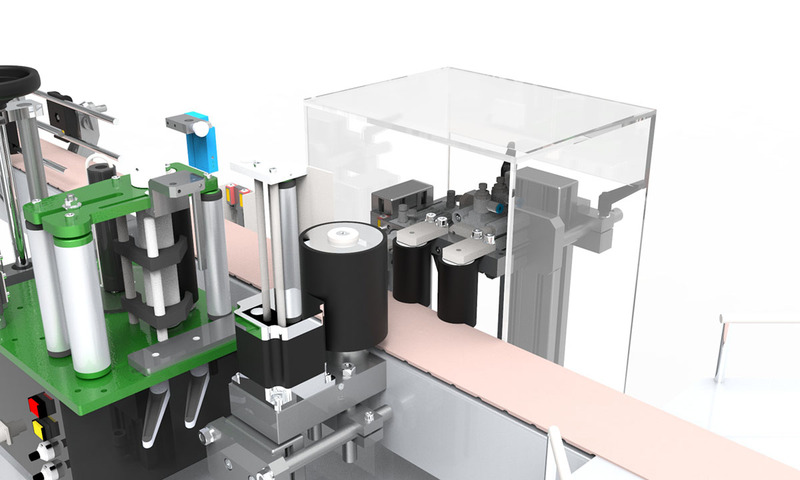 New triple roller centering system for more precision and difficult to center containers. 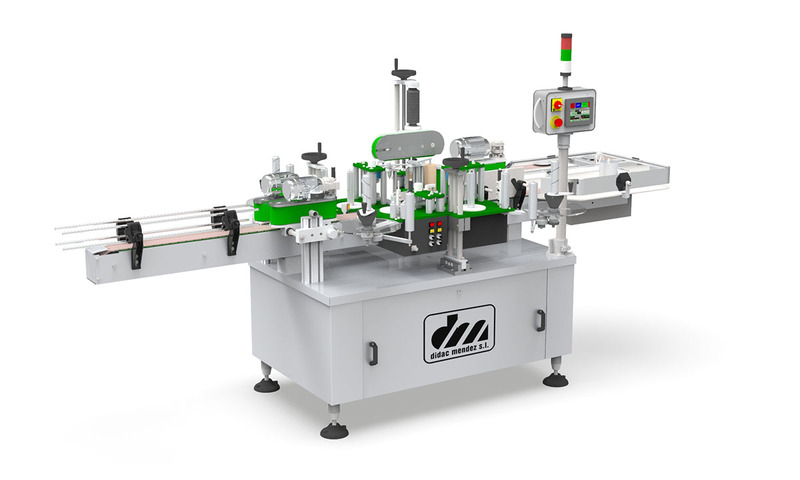 Equipped with two DMC - GT heads, adaptable in production and speed to any packaging line. 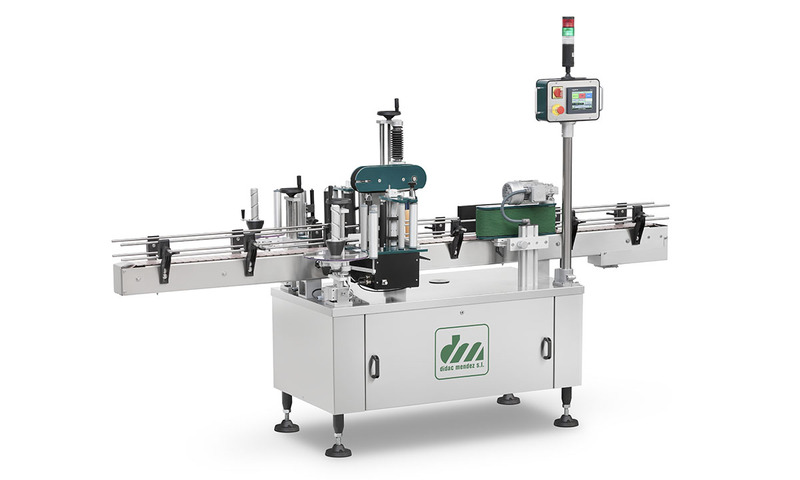 It has multiple accessories that make it more versatile and increase its capabilities to supply multiple types of packaging. 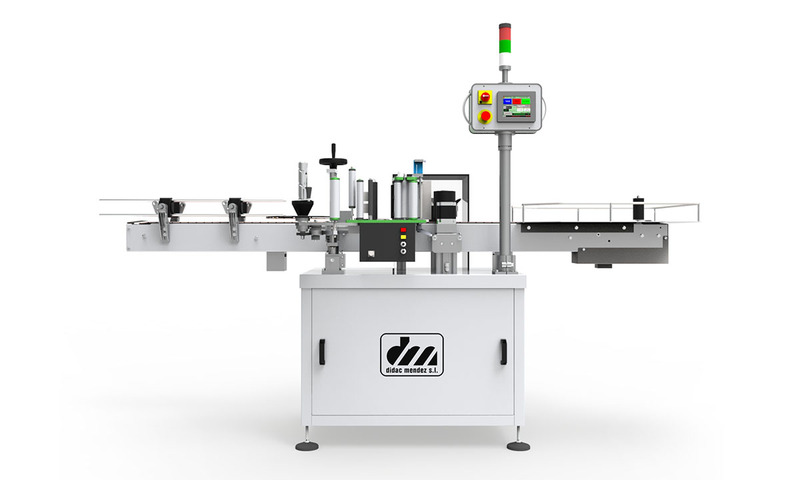 High-speed and precision labeling equipment designed to provide wrap-around labels in cylindrical containers. 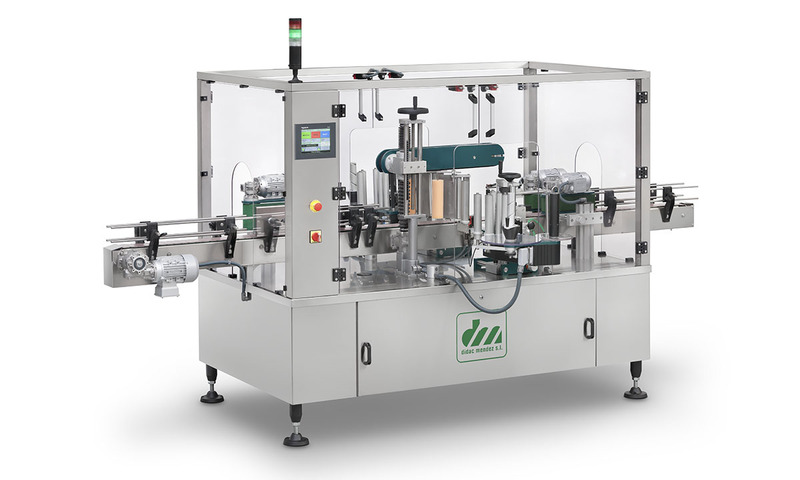 Adaptable in production and speed to any packaging line. 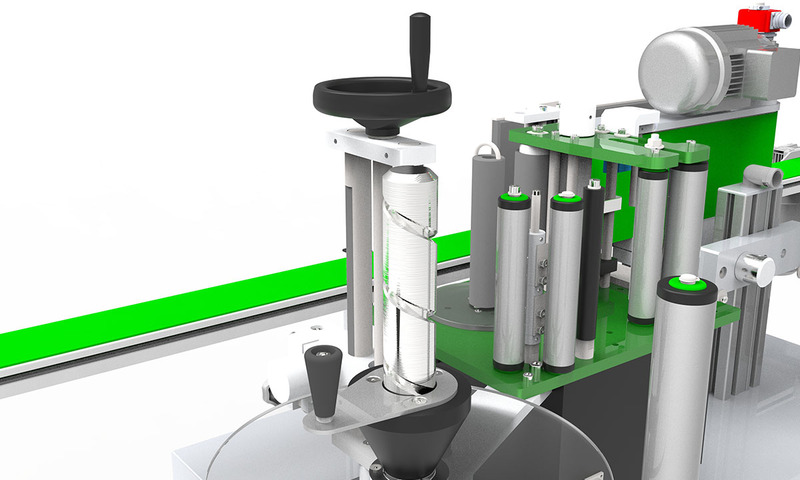 It has multiple accessories that make it more versatile and increase its capabilities to process multiple types of cylindrical containers.